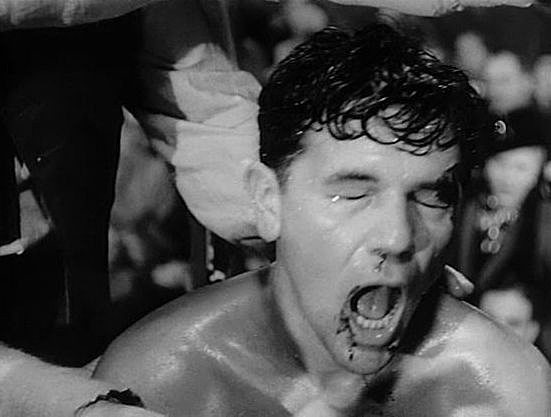 Directed by Robert Rosen, the 1947 film noir picture Body and Soul was photographed by James Wong Howe, ASC (pictured here and at top) and stars John Garfield as Charley Davis, a boxer victimized by a shady promoter and other nefarious characters. One of the first great films about the “sweet science,” its fight scenes feature a degree of realism that was unusual for the time, in part due to the use of lightweight, handheld, Bell & Howell 70D Eyemo cameras. Howe told American Cinematographer in 1944 that due to watching numerous newsreels during World War II, audiences began to equate shaky camerawork with authenticity. Thusly, technically perfect Hollywood-style films began to seem “artificial and therefore unbelievable” by comparison. 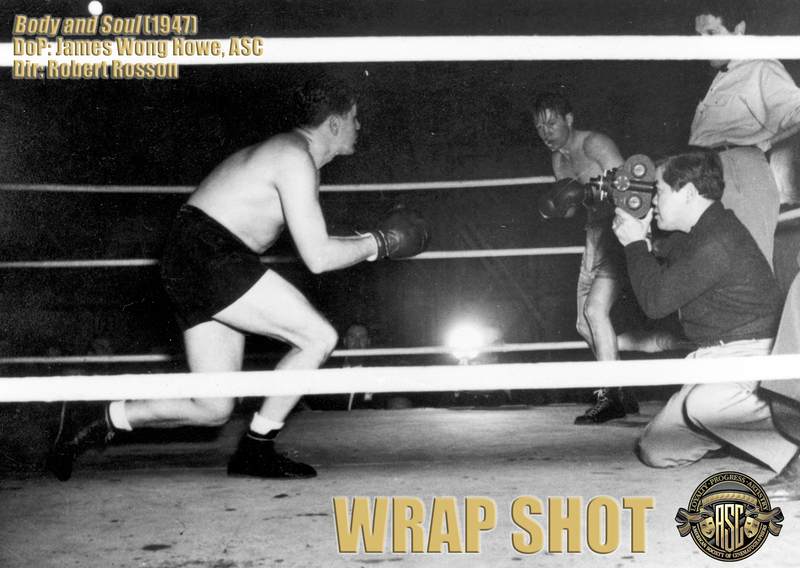 Inspired by this, the cinematographer chose to shoot the climactic fight scene to Body and Soul largely handheld and with a subjective perspective, putting the audience directly into Davis’ shoes in the ring. In addition to the Eyemo, Howe donned a pair of roller skates for additional mobility — a grip literally pushing him around the ring. Using a conventional camera on a “big bulky dolly in the ring which couldn't move around and can only go up and down and sideways” simply could not deliver the same experience. In a 1970 interview with film critic Roger Ebert, Howe noted, “I’ve been called a user of gimmicks in my time, but I always need a reason. 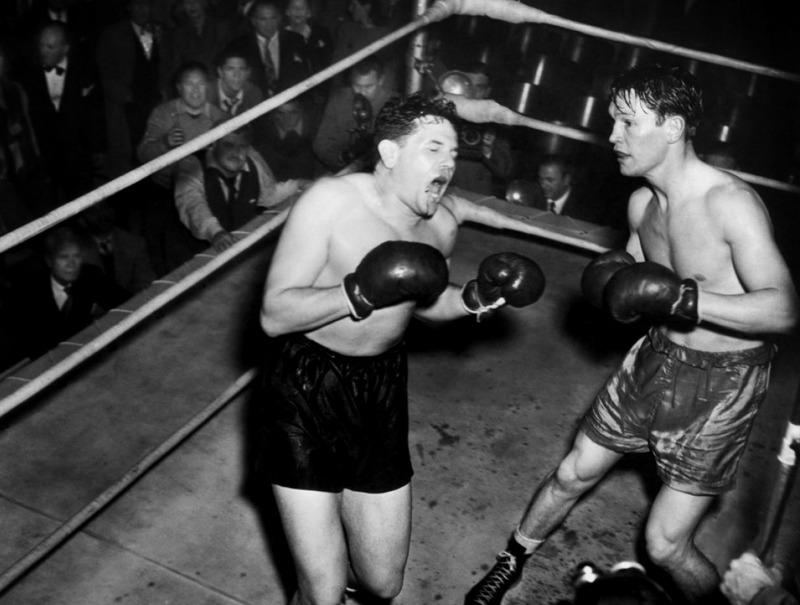 When I shot the John Garfield boxing scene in Body and Soul, I wore roller skates and used a handheld camera so I could move faster and stay closer to the action. Was that a gimmick? Not if it helped the film.